Do you have Life Insurance? Do you ever wonder what will happen to your family if anything ever happens to you? If you do have Life Insurance, you don’t need to ask yourself questions like that. The problem is not everyone has life insurance. Many don’t even see it as an option because they think it is too expensive. However, that isn’t the case. There are plenty of ways to secure your family without going broke. There are two types of Life Insurance, Temporary and Permanent. Temporary Life Insurance covers you for a period of time such as 5 years, 10 years, etc. If you should pass away within the term, your beneficiary will receive the death benefit. Permanent Life Insurance covers you for your entire life. So no matter when you should pass away, your beneficiary will receive the death benefit. Also, for either type of life insurance, the death benefit will pass to your beneficiaries income tax free. Permanent Life Insurance covers you for your whole life. You should purchase Permanent Life Insurance if you have a life-long dependent, or have an estate or business to protect. In some permanent plans, your money may collect in an account, and after a number of years, you may be able withdraw money, borrow cash, or surrender the policy and receive the surrendering value. Temporary Life Insurance, also known as Term Life Insurance, is a good option if you would like to have coverage for a certain period of time. Usually an individual will have this coverage during the most vulnerable time of their life. For instance, until the kids are grown and graduated from college, or your house has been paid off. Many times, the premiums are lower than the premiums of a permanent life insurance plan. The only downfall of this type of plan is that once the term is over, IT’S OVER. You may be able to renew your plan once it expires, but your premiums may increase because you will be older than when you purchased your prior plan. 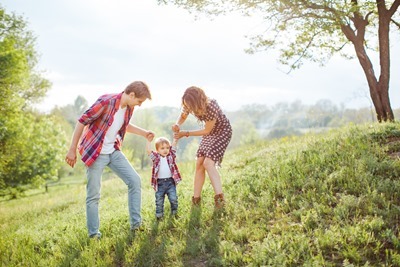 “So how do I purchase Life Insurance without going broke?” First off, there are a number of factors to determine which plan is right for you and which plan you can afford. But in general terms, the route to go would be purchasing a Temporary Life Insurance policy. As stated before, the premiums generally are less money than those of a permanent policy, and you and your family or dependents will also be protected during the length of the term. Buying Life Insurance is not for everyone. There may be no need to purchase it if you don’t have any dependents and enough assets to cover your debt and the cost of dying. Death can very expensive, having to pay for the funeral, estate lawyer’s fees, etc. So if you are unsure about the need to purchase a Life Insurance Plan, or would like to purchase one, please contact us. We would be happy to assist you with all of your questions and concerns. Call MHG Insurance Brokers today at 954-828-1819 or visit us online at mhginsurance.com for help in selecting Life Insurance and other coverage to ensure you and your loved ones have the protection you need at every stage of life.